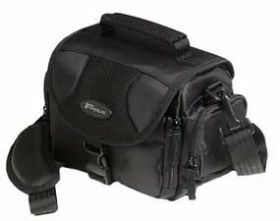 The Targus Camera/Video Standard Case fits most small to medium video cameras and features a unique hid-a-way rear pocket for additional storage. 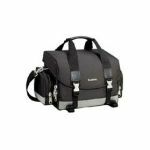 A front zippered pocket also allows for storage of remote control and media cards, and side pockets for battery, film, and cable storage. 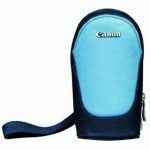 This case also features a limited lifetime warranty so your camera will stay safe for life! 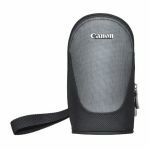 - Side pockets for additional battery, film and cable storage. - Fits most small to medium video cameras. - Unique hide-a-way rear pocket. - Inside base removes for expanded hardware storage. 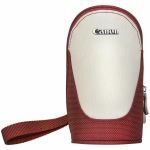 - Front zippered pocket for remote control and media cards.